Today is the “Festa della Repubblica” or Italy’s national holiday celebrating the creation of the Italian republic. This year is a special anniversary year, it is the 150th anniversary of the republic’s birth. All year long, the 150th anniversary has been celebrated in a variety of ways. In fact, Eataly owner and entrepreneur Oscar Farinetti is celebrating by arriving on his sailboat in New York after a trans-Atlantic crossing with world class sailor Giovanni Soldini. The ship docked earlier today at the Chelsea piers. The initiative was more than just an Atlantic crossing with friends. The voyage called the “Seven Moves for Italy” also had a political bent. I wrote about the trip during Vinitaly 2011. Veronafiere and Vinitaly celebrated the 150th anniversary by creating special bottles of wine that can be seen in the picture above. Ettore Riello, the President of Veronafiere, decided to create two bottles – one red and one white- with 20 indigenous Italian varieties each. He got the idea after speaking with Italian President Giorgio Napolitano last year at Vinitaly. 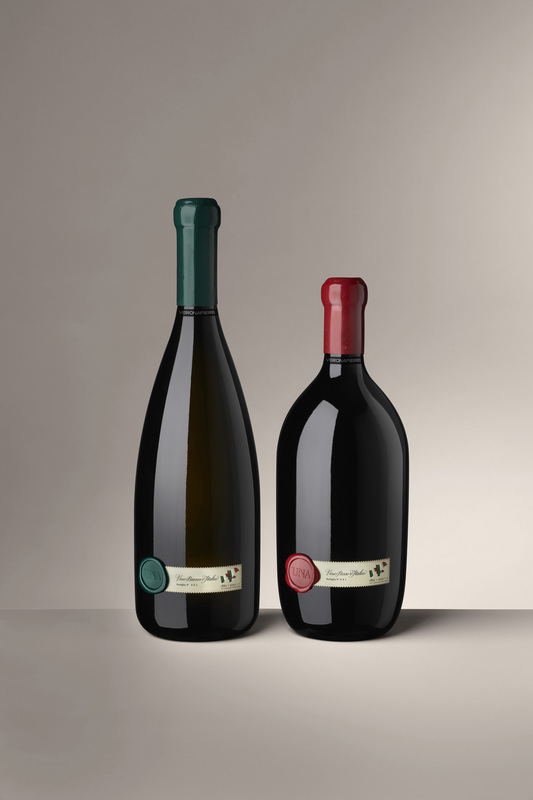 The two bottles were beautifully made with a very long history and many significant references both in terms of the font used on the label – Bodoni, the creation of the bottle by a famous designer – Aldo Cibic and the packaging of the entire project. Most exciting for me though is the blend. To make the “White wine of Italy,” a representative selection of wines made from autochthonous varieties harvested in 2009 were used. None of the wines were aged in oak. To make the “Red Wine of Italy,” wines that were produced during the years 2005 to 2009, some of which were aged in wood were used. I was lucky enough to taste these wines during a celebratory luncheon in March when President Giorgio Napolitano was in town. Riello and Giovanni Mantovani, CEO of Veroanfiere, presented Napolitano with the first bottles of the wines. The wines are given out to Ambassadors and dignitaries from around the world. Only 3400 cases of two bottles have been made. The wines were surprisingly good. The white wine was very minerally and absolutely ready to drink. It could also be kept for a few years thanks to great acidity. The red was not yet ready to drink but was also very pleasing. Greco bianco (Calabria), Grillo (Sicily), and Vermentino (Sardinia). Nero d’Avola (Sicily),and Carignano (Sardinia). The “UNA” bottles come with a beautiful little book with citations by many famed Italians and the national anthem at the end. My favorite quote is “L’Italia e fatto,tutto e’ a posto,” Camillo Benso conte de Cavour.